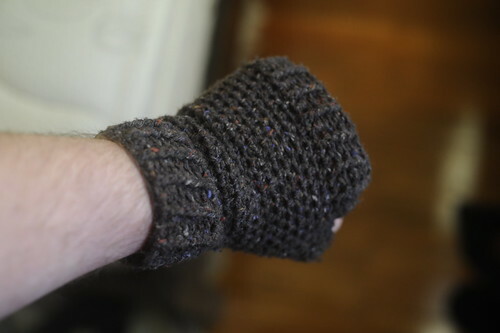 These are the Fingerless Mittens by Karen Janine, I made these in the Joe Sharp silkroad DK for myself. 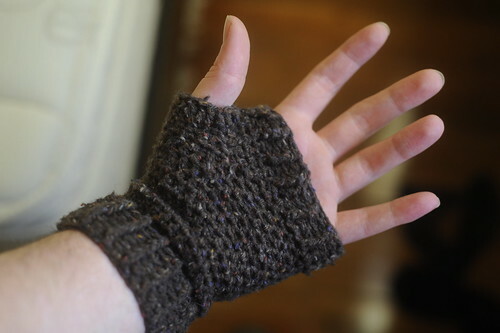 They are soft but strong enough to be perfect for my harder wearing man hands. They were also really quick to make, which is great for those times when you are impatient for a burst of finished object satisfaction.